Apart from Germany Inflation Rate YoY Final, it is a quiet economic day for EURUSD. 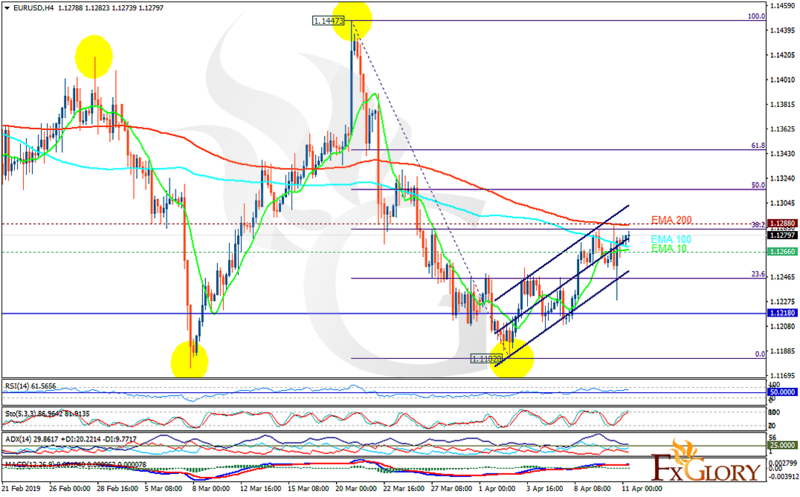 The support rests at 1.12660 with resistance at 1.12880 which both lines are above the weekly pivot point at 1.12180. The EMA of 10 is moving with bullish bias in the ascendant channel and it is below the EMA 100 and the EMA of 200. The RSI is moving in overbought area and the Stochastic is moving in high ranges. The MACD line is above the signal line in the positive territory. The ADX is showing buy signal. EURUSD may continue its growth towards 61.8 level of Fibonacci but today buyers can target 1.13050.